25 hands-on building projects and activities. 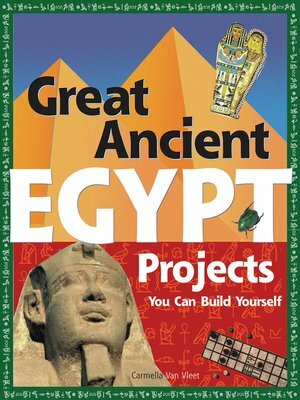 Great Ancient Egypt Projects You Can Build Yourself gives readers today a chance to experience how the ancient Egyptians lived, cooked, worked, worshipped, entertained themselves, and interacted with their neighbors through building projects that use common household supplies. Detailed step-by-step instructions, diagrams, and templates for creating each project are combined with historical facts and anecdotes, biographies, and trivia for the real-life models of each project. Together they give kids a first-hand look at daily life in ancient Egypt.